You can find that list of recordings by going to Watch > DVR. Control Center will attempt to retrieve this list when the system has been turned off for a few minutes. 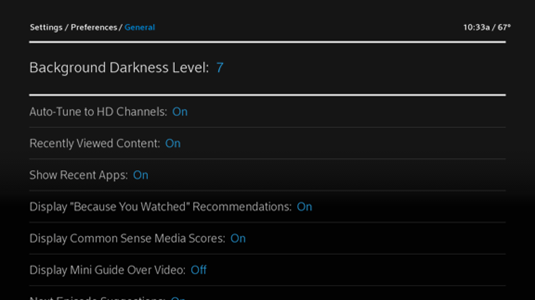 During this time, you may see the activity light on the Xfinity box flicker. If you turn the system on while retrieval is happening, the retrieval process will abort to let you use your system normally. 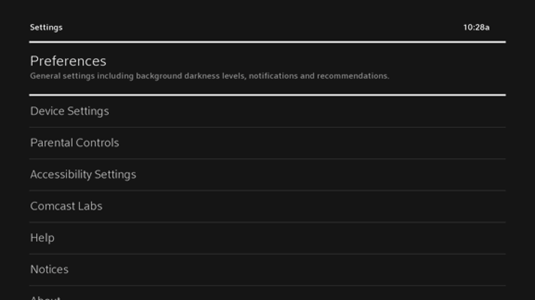 If you have a non-4K Xfinity X1 set top box but Control Center is not displaying your recordings, make sure the "Darkness Level" on the Xfinity box is set to "11". Using your Control Center remote, switch to the Xfinity input and then press the HOME button. 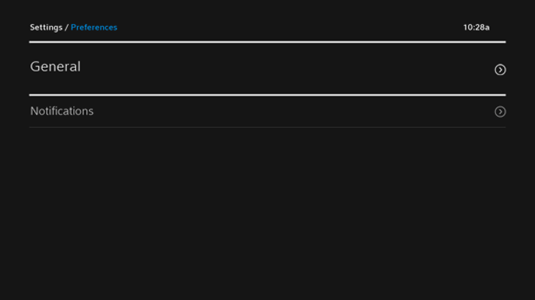 Highlight Settings (the gear icon) and press OK. Highlight General and press OK. 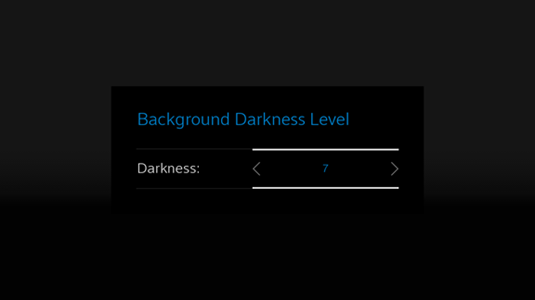 Using the right arrow button, highlight Background Darkness Level and press OK.
Press the OK button to finish, then do a long press of the (<-) button to exit the menu back to LiveTV. NOTE: you may manually refresh Control Center's DVR list for Xfinity by going to Watch > DVR and press the KEYPAD (9 Dots) button.